Published Leiden, 7-11 December 1970 Two Volumes. 1970. Uniform matching hard back binding in terracotta cloth covers, gilt lettering to the spines. Folio 12" x 8½". 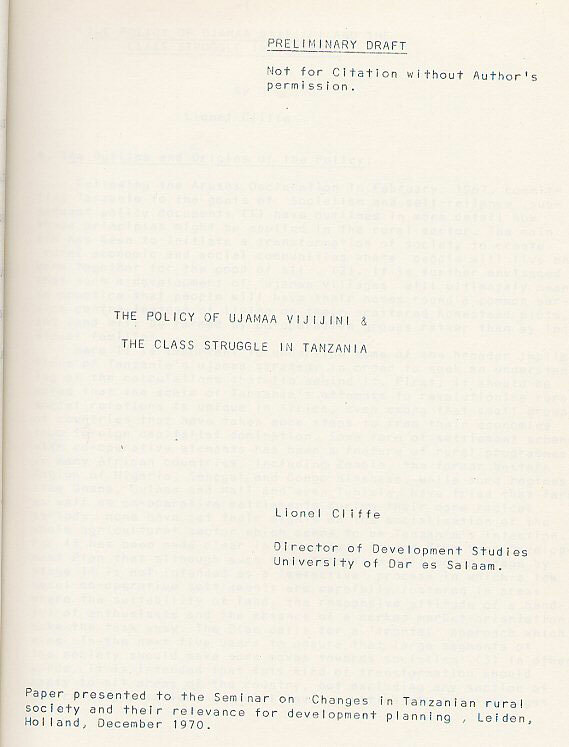 Contents include: The policy of ujamaa vijijini and the class struggle; Development of ujamaa farming; Ismani and the rise of capitalism - ideology and practice and Tanzanian rural development; Regional development and economic planning; Reconciling different goals and values in rural development in Tanzania; The nature of the leadership and institutional structures for rural development [a case study of Nzega district]; Small-holder adaptation to technological and economic change [a Chagga case]; Leadership organizational structure; Popular patterns of orientation to African political leaders; The reorganization of the Victoria Federation Co-operative Unions; Reference to the coffee areas on Mt. Kilimanjaro; Factors determining the growth of the Runge coffee industry. Ex library with indigo stamps to upper paste downs, white issuing leaf to front end paper, never issued and in Very Good clean and bright condition with slight fading to spines. Member of the P.B.F.A. 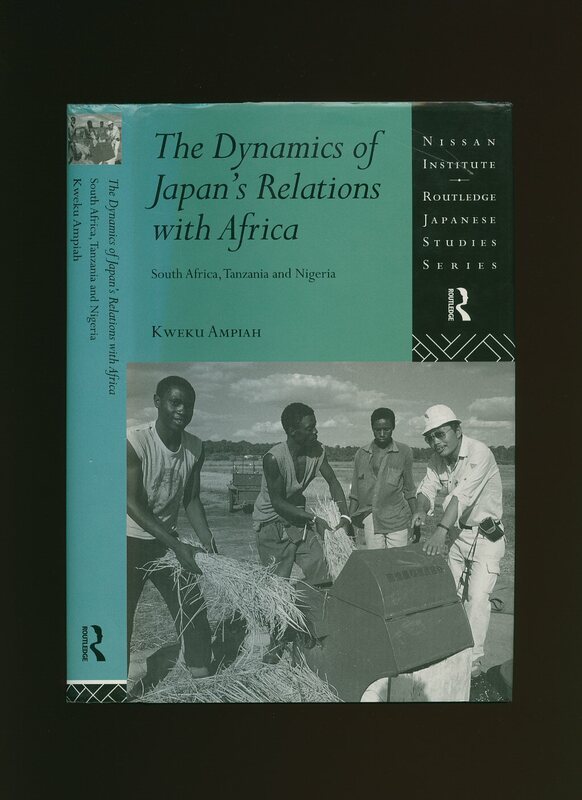 Published by Routledge, 11 New Fetter Lane, London First Edition 1997. London 1997. Published by The Travel Book Club, 121 Charing Cross Road, London 1957. London 1957. Hard back binding in publisher's original duck egg blue paper covers, black title and author lettering to the spine. 8vo. 8½'' x 5½''. Contains 230 printed pages of text with monochrome photographs throughout, Invoice for 4/9 from Travel Book Club loosely enclosed. Lower spine end turned-in, ghosting to the end paper, foxing to the closed edges. Very Good condition book in Very Good condition art work dust wrapper with tiny nicks to the top of the spine, tan age spots to the white of the rear panel, not price clipped. Dust wrapper supplied in archive acetate film protection, this preserves and prolongs the life of the paper, it is not adhered to the book or to the dust wrapper. Member of the P.B.F.A. 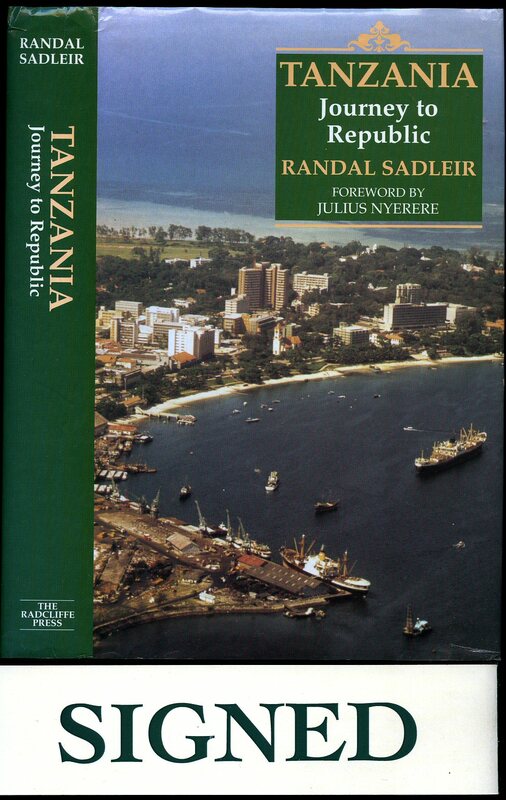 Published Privately by the Author First Edition 1987. 1987. 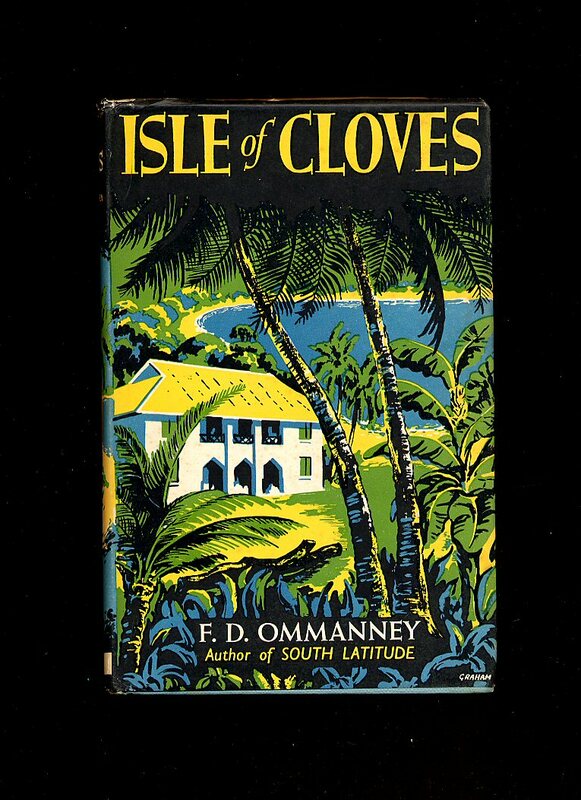 Publisher's original colour illustrated card wrap covers with French Flaps. Quarto. 8½'' x 8¼''. Contains 56 printed pages of text with full-page colour and monochrome illustrations throughout. Without any ownership markings and in Fine condition, no dust wrapper as published. Member of the P.B.F.A. 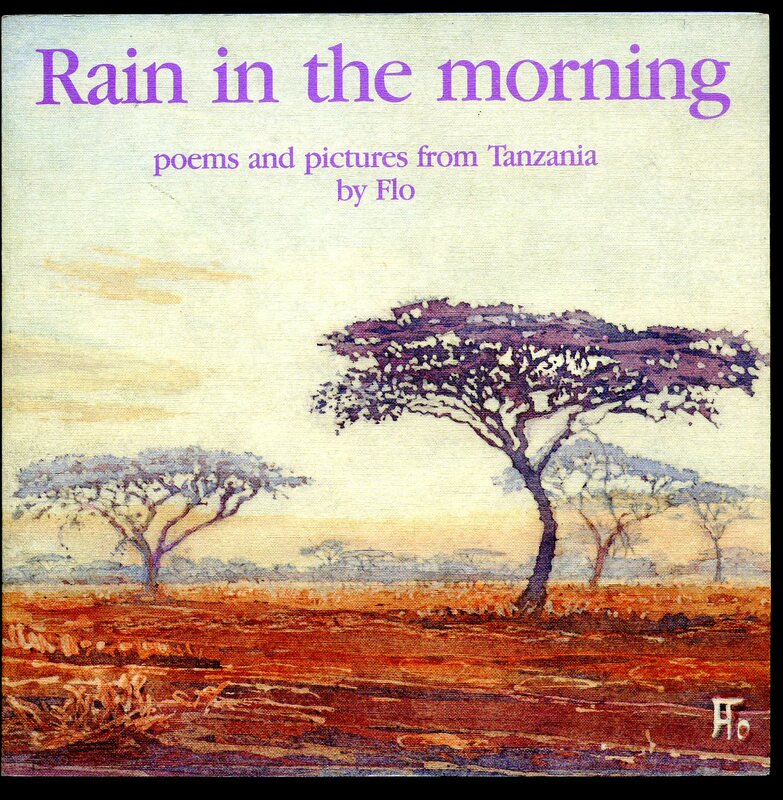 Published by The Radcliffe Press, 45 Bloomsbury Square, London First Edition 1999. 1999. 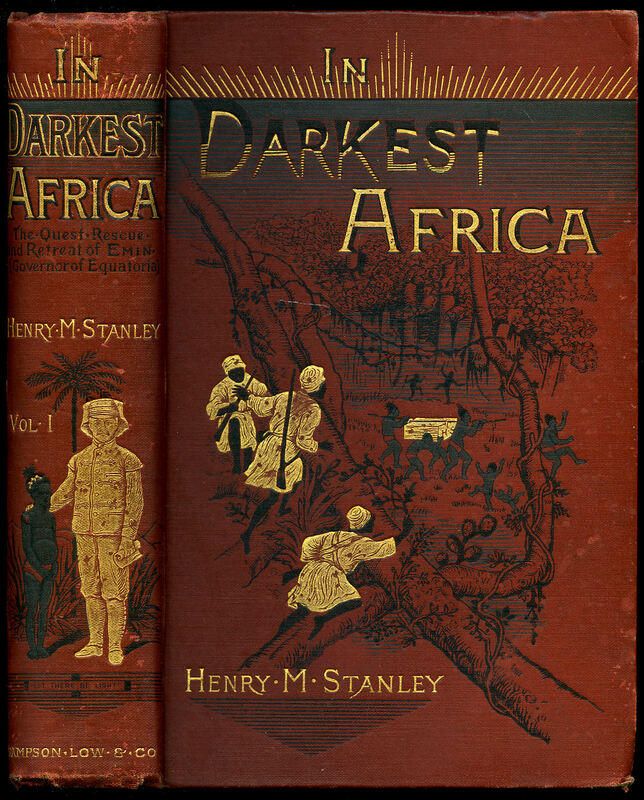 Stanley, Henry M. [Sir Henry Morton Stanley GCB (born John Rowlands; 28 January 1841 - 10 May 1904) was a Welsh journalist and explorer who was famous for his exploration of central Africa and his search for missionary and explorer David Livingstone]. Dr. Thomas Heazle Parke, Robert H. Nelson, Henry M. Stanley, William G. Stairs, and Arthur J. M. Jephson. 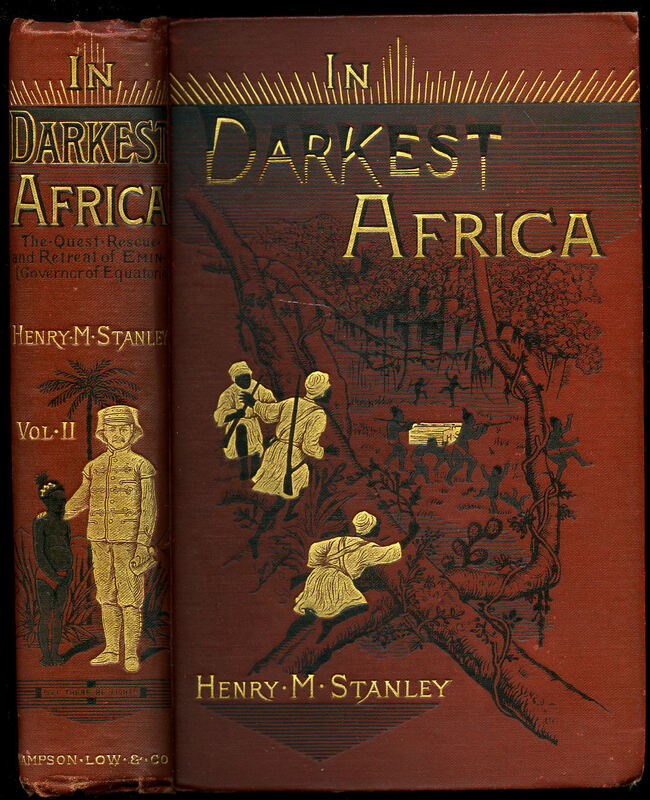 Published by Sampson, Marston, Searle, and Rivington Ltd., St. Dunstan's House, Fetter Lane, London First Edition 1890. 1890. Uniform matching first edition hard back binding in publisher's original illustrated brick red cloth covers with elaborate pictorial decorations in gilt and black, gilt title and author lettering to the spines and to the front covers, green end paper maps. 8vo. 9'' x 6¼''. Volume I with tissue-guarded engraved frontispiece [xv], 529. Volume II with tissue-guarded engraved frontispiece [xv], 472,  ads. 150 woodcut illustrations and maps including large colour fold-out map to the beginning of each volume, one other folding map in text. Ink name to the top of each title page 'L. H. G. Walford'. Spine ends pushed over, small repaired tear to one map where it joins the front gutter, light rubbing to the corners, without any foxing to the text block. Member of the P.B.F.A.